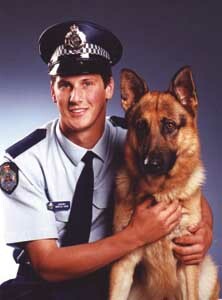 services and as sniffer dogs. 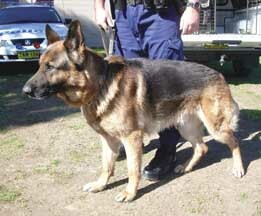 The breed is utilised world-wide in the forces all over the world. 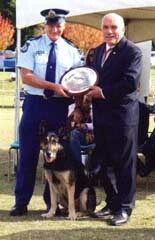 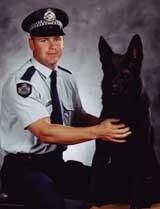 In 1996 the GSDCA adopted a scheme for the recognition of German Shepherd Dogs for outstanding service throughout Australia. 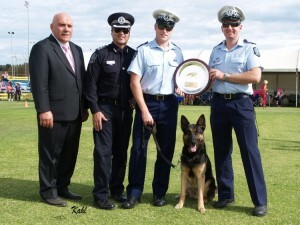 Recognition Award for their exceptional achievements in the area of Urban Search and Rescue. 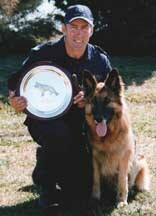 Jochen and Elke have taken part in various searches, and completed numerous accreditation tests, including attending and attempting the Swiss Canine Disaster Test. The GSDCA congratulates Elke and Jochen on their efforts. 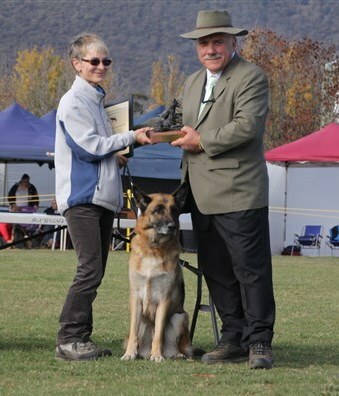 In addition to the Canine Service Awards awarded by the GSDCA to dogs in service, the GSDCA also recognises remarkable GSDs that are NOT serving in an official capacity as a service dog when those GSDs have shown intelligence, bravery and courage under exceptional circumstances. 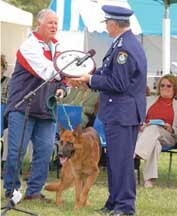 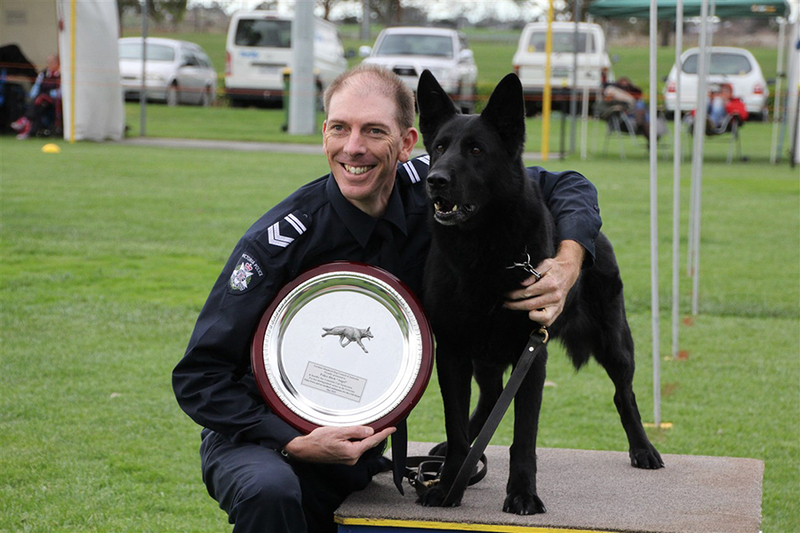 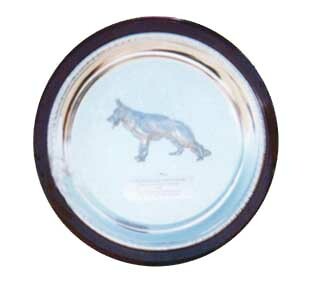 The award known as a GSDCA Special Bravery Award is usually awarded to exceptional dogs who have served man in this way in their capacity as a family pet. 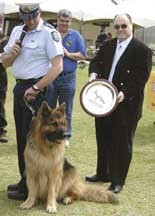 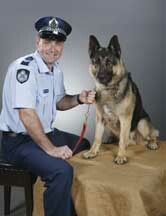 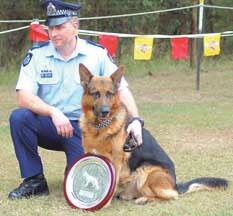 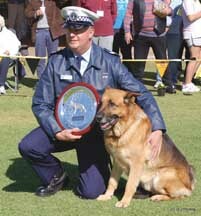 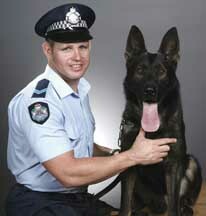 German Shepherd Dog “Rocky” was presented with a Special Bravery Award at a GSDL Show held in 2007. “Rocky” had been shot during his attempt to protect his owner from intruders during a home invasion and he had been badly hurt. 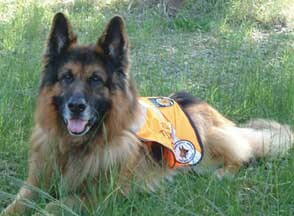 “Rocky” became the subject of intense media interest in tracking his recovery. 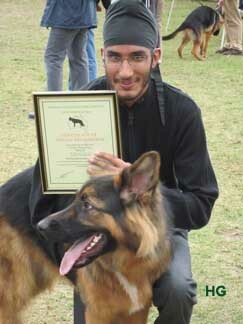 German Shepherd Dog “Rex” came to the rescue of his owner, Raj during an attempted robbery in the street. 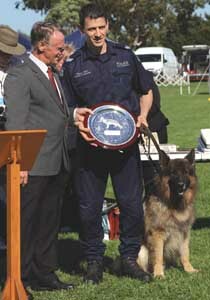 He was presented with a Special Recognition Award at the 39th National in Sydney in 2010.